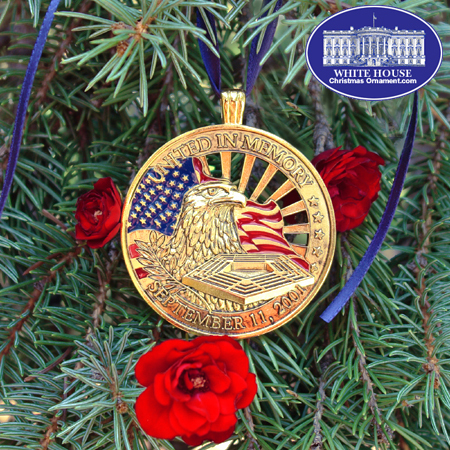 This "United In Memory" ornament logo, 2-1/2" diameter, ornament has been specially produced in a gold finish to commemorate the fifth anniversary of the September 11, 2001 tragedy. The reverse side has the engraved quote from President Bush from the October 11, 2001 memorial ceremony of the Pentagon. Blue satin ribbon, gift-boxed. 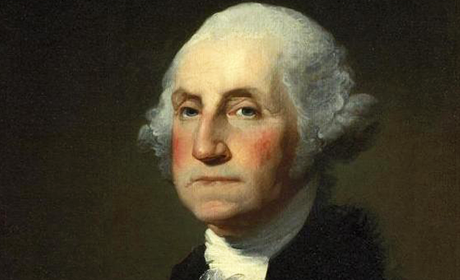 September 11, 2001 is a day we will always remember. 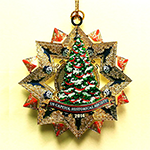 The "United In Memory" ornament honors the courage and compassion of the thousands of surviving families, those who risked their lives to save others, and those who supported the United States of America in its darkest hours.